Spring Boot is an opinionated dependency injection framework to get a Spring application up and running in no time. It favours convention over configuration and has made giant strides in streamlining Java development since… well… since Spring. Apache Camel is a fairly mature implementation of Enterprise Integration Patterns. We could write hundreds of lines of code to integrate our microservice into the back-end or we could use hundreds of Camel components to do the same with minimum effort. 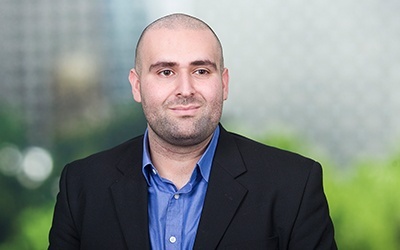 Docker requires no introduction and is used to create a consistent deployable unit that is guaranteed to behave the same regardless of target deployment environment. This also gives us the flexibility to scale the microservice horizontally. Apache Groovy is a dynamic language running on JVM. While Java cowers in the face of change and moves forward in a frustratingly slow pace compared to its competitors, we reach for other JVM languages to bridge the gap. Groovy is a good middle-ground, especially when introducing Java developers to the current century. Gradle is again another response to the cumbersome tools of the Java ecosystem. It provides build and dependency management without the constant wrestling matches with Maven. So if you are still messing about with hierarchy of giant POM files and thousands of lines of code, I want you to get up, go stand in front of the mirror and take a serious look at yourself. As for our microservice design, we will be building a REST API in front of a relational database to provide CRUD operations to consumers. 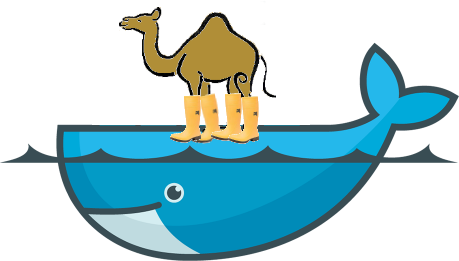 The Camel application will expose the API over an embedded Jetty web server, running inside a Docker container. In a great leap of imagination, the service will be Thing Service which will be used to create, query and delete Things. For those playing at home, you will only need Gradle and your favourite text editor to follow along. Spring Boot prefers conventions and annotations over the traditional Spring XML so we will try to follow this principle throughout this example. The project is configured with Groovy compiling and using all the common-sense defaults of Spring Boot. We now have a skeleton of a Spring Boot application ready to be developed further. Camel 2.15 introduced camel-spring-boot component for auto-configuration of Camel applications. Upcoming 2.17 will add camel-spring-boot-starter to make creating new projects of this nature even simpler. At the top, we are demonstrating the use of property-placeholders and properties files. Spring Boot automatically loads properties from application.properties file, or in our case application.yml file, in src/main/resources directory. These are also automatically available to Camel with the usual conventions. Moving on, restConfiguration() is used to configure the REST endpoints, including the underlying component, which is Jetty webserver in this case. rest() defines the actual routing logic whose format and functionality should be self-evident. To simulate the back-end database, we will use H2 in-memory database and Camel’s JPA and SQL components to interact with it. Each route does what is prescribed by the REST API conventions. For example, DELETE operation removes a resource, also returning the said resource in the response. The implementation also demonstrate the use of a transformer class, here imaginatively named transformer. For Spring Boot to instantiate and make this bean available to Camel Context, we simply need to add the @Component annotation to the class. The content of the class is available on GitHub. We now have a fully functioning Spring Boot + Camel application. You can test-drive the service through Gradle by executing gradle bootRun in the project’s root directory. This will bring up the Jetty server, bounded to port 8080 on the localhost, ready to receive REST requests. But we are not done yet. Spring Boot generates a fat JAR as part of the Gradle build. This JAR needs to be placed in a Java-capable container before it can be deployed. A good candidate as the base Docker image is the official Java Docker image, built on top of an Alpine image. The JVM is already a sizeable layer so we opt for a minimal OS image like Alpine to ensure smallest possible image size. Even with this optimisation, the resultant image ends up being about 143.8 MB. No changes are needed to the actual production code of the application when we introduce Docker to the mix. The plugin also builds the corresponding Docker image locally. Further configuration can be added to actually push the said image to a Docker Registry. This will run a Docker container which in turn executes our runnable JAR that was copied inside the image. And that’s it. In fewer than 100 lines of production code, we have managed to prototype a full-fledged microservice with a REST API and database integration. The source code for the project is available on GitHub. The current solution does not include any error handling logic, for example HTTP 404 when we try to retrieve or delete a non-existent Thing. A real-life solution would most likely not use an in-memory DB, inside the container for storage. A data source to an external DB should be configured. No unit and route testing code has been included in the example. Please feel free to fork the repository and attempt your own enhancements.